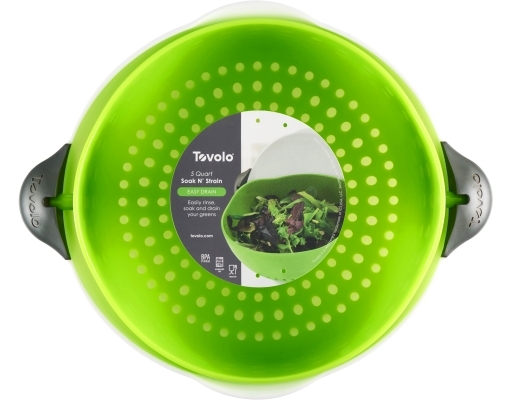 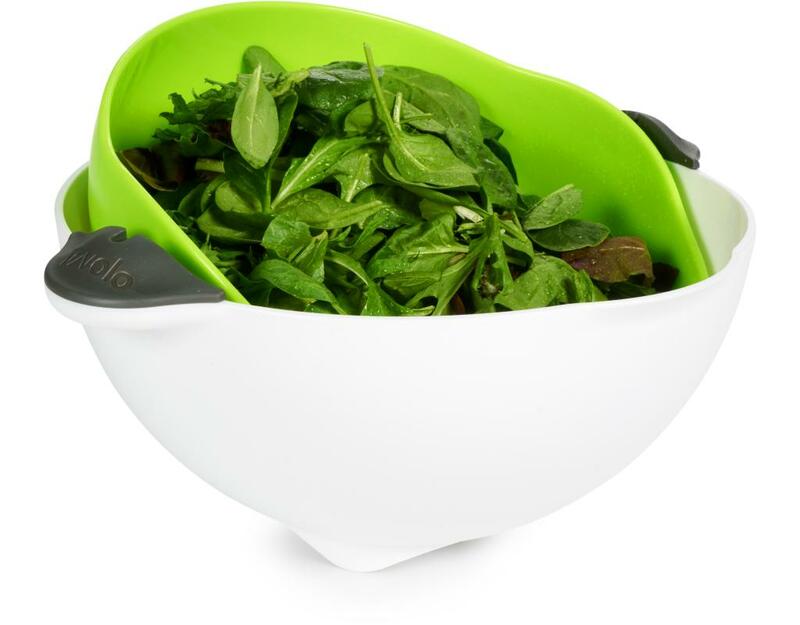 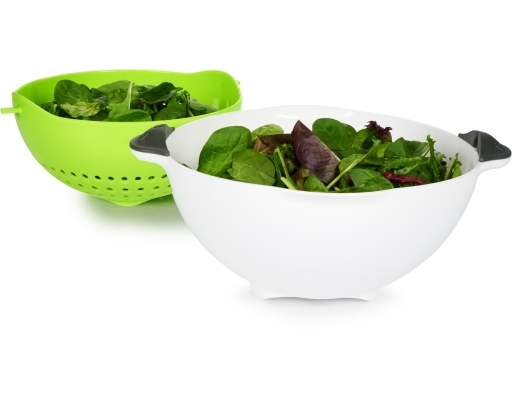 This combination Soak N’ Strain colander allows you to gently wash berries, greens, vegetables, fruit and more. Simply fill bowl with water, soak and with a tip of the bowl, water is drained away. 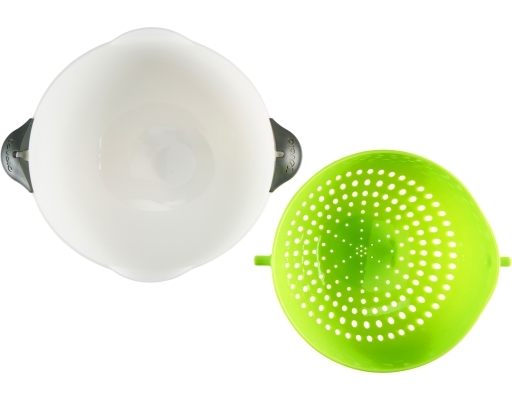 The colander and mixing bowl can be used separately making the Soak N’ Strain a must-have in your kitchen.